Today I'd like to use this post to share a project that a number of us developers have been quietly working on the past few months. Although it had been revealed internally several months ago to the PR team, it wasn't until now that we have felt comfortable opening up our project to the public eye, starting with the PR community. The goal of our project is to produce an Unreal Engine 4 based standalone commercial game, whose central focus is promoting teamwork and communication through gameplay mechanics and features. First to emphasize the seriousness of the project, I would like to highlight the list of our developers, almost all of whom are either current or former PR:BF2 developers. 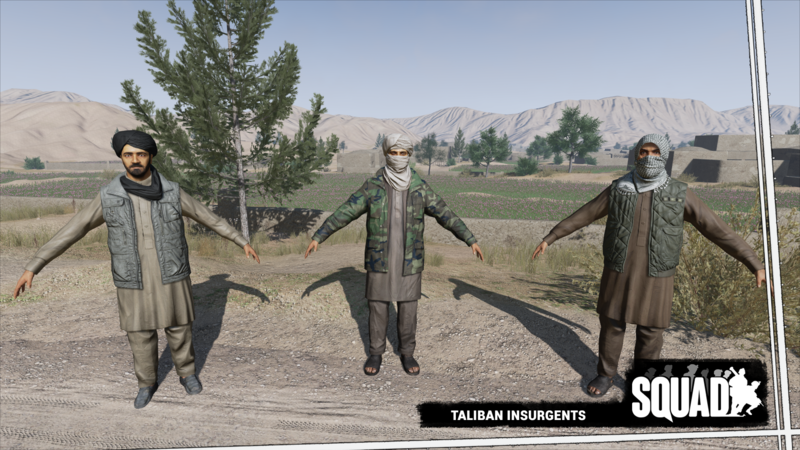 Squad will be a tactical military game built from the ground up as a cooperative shooter, where high levels of teamwork and communication are supported, encouraged, and integral to gameplay. 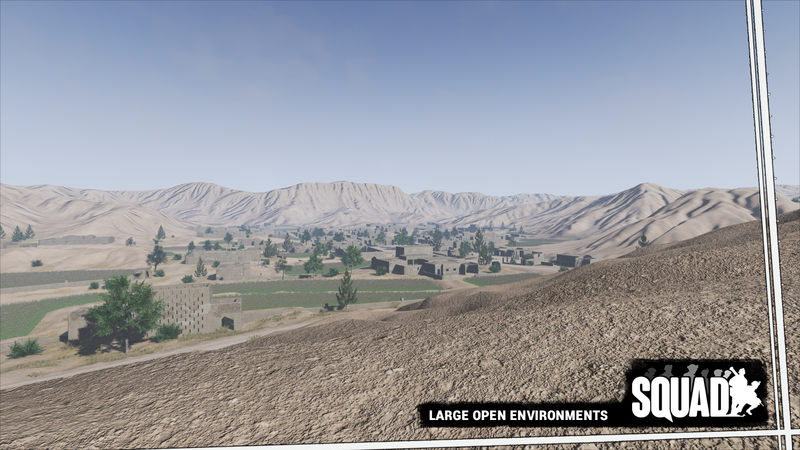 Complementary with that focus, we are seeking to bridge the gap between arcade shooters like the Call of Duty and Battlefield series, and military simulations like ARMA. Since April we have been quietly assembling the team you see above and taking the first steps towards our first public release. -Basic weapon & equipment sets including ARs, MGs, Grenades, etc. 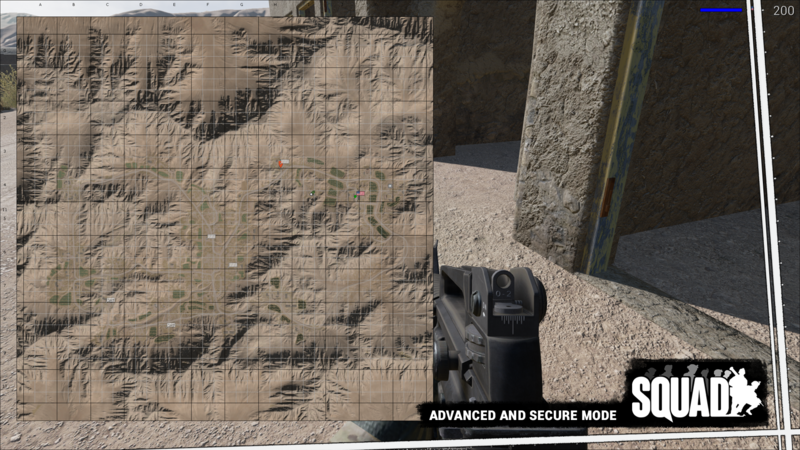 -A HUD system for map, compass, nametags, etc. In addition to the above, we have many features and assets that are currently being worked on, and are soon to be included in our test builds. We also need to address the elephant in the room. Why are we not simply all working on PR2? The answer to that is far from simple, but if I had to sum it up I would say it all boils down to a major difference in direction. Squad will be commercial: Our goal from the very start has been to have a commercial game studio with both full time and freelance developers who are able to make assets and be compensated for their effort. As a part of this we will encourage talented members of the community to step up and be a part of this process. By helping to support developers financially using the game's revenue, we believe we will be able to take the scope and quality of the game to a more serious level. Squad will be released on Epic's Unreal Engine 4: We firmly believe UE4 is the best engine for the job and it's capabilities are growing rapidly. We began laying the groundwork for this project before UE4 was released, and in all honestly lucked out with how fantastic of a deal it turned out to be for indie game studios. With a ground breaking subscription model, low royalty fee, source code access, network oriented design, and a huge base of support we really feel there will be few limits on our ability to execute the vision we have for Squad. Squad will use crowdfunding: One major component of our development strategy is the use of a Kickstarter campaign to generate a seed fund supporting the expansion of full time development. Doing so will allow us to ramp up development prior to open alpha, and support full time developers, purchase art assets, cover our server costs, and handle the business related aspects of our game studio's creation. The more successful such a campaign is, the longer we will be able to flesh out the game without the need for revenue, and thus the longer we can build the community by keeping the game free. The above points are critical to making the game we are aiming for, and simply would not be possible without the formation of the team we have joined together to make. Why the name change and lack of an official connection to Project Reality? While many of our developers have worked on PR past and present, using the PR name would present a number of complications. First and most importantly, it would cause licensing issues for PR2. PR2 is currently a strictly non-commercial endeavor, and to affiliate our game with PR officially would jeopardize their licensing status, which as it stands makes such a situation unworkable. 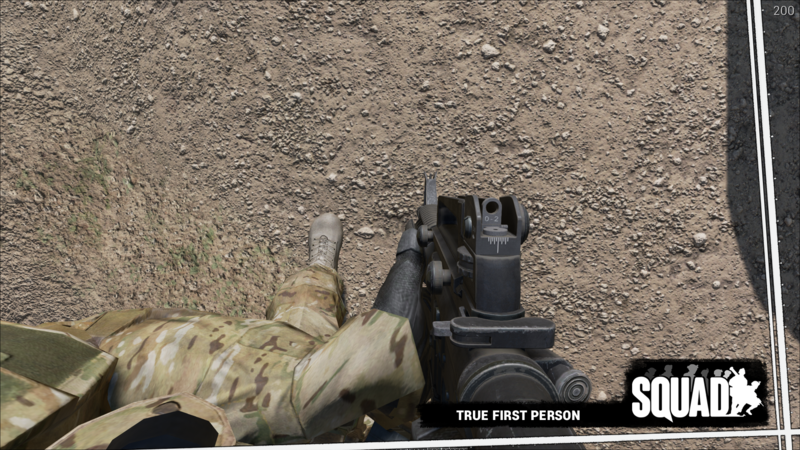 Additionally, while PR was originally started and evolved around the idea of making the BF2 experience more realistic, the central focus of Squad will be on establishing and encouraging the culture of teamwork that made PR the game it was. Squad will embody that ideal through the framework we create. As mentioned above we will be using crowdsourcing to seed the initial development over the course of the next year. Providing we are successful, our next stage will be to bring our core team online full time and bring the level of content and features up to a point where we have a much more comprehensive beta game that we can introduce to our community, testers and supporters. Additionally, we will need your help and are currently looking for more developers. While we can't currently promise any immediate compensation, with the structure of our cooperative studio, we will ensure that all developers (Full time, Part time and freelance) are compensated when the business gains the ability to do so. Oh and almost forgot, here's some gameplay. Please be curtious and stay well within the bounds of the board's rules regarding this topic on the PR forum. While we do appreciate people expressing their support, that is certainly not an excuse to be rude or disrespectful. Otherwise, we greatly appreciate your time and consideration. Share the news with your friends, and we'll meet you on the battlefield soon! Last edited by Sniperdog; 2018-05-17 at 06:45..
Sniperdog doesn't disappoint once again! You guys are doing an awesome job! 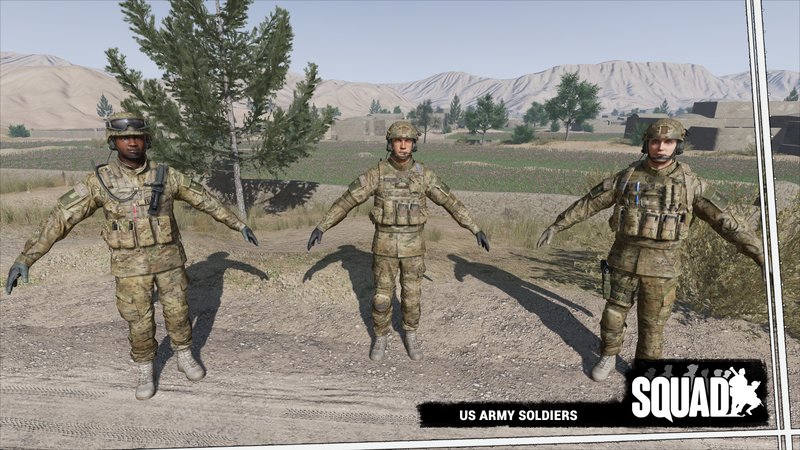 Squad already has the PR feeling down very well, at least for infantry. I was lucky enough to participate in alpha testing and had a lot of fun - I'm looking forward to what the future holds! Wish you guys all the best for this promising project!